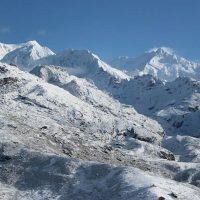 Sikkim Dzongri and Goecha La is highly rated trek for its conventional beauty in eastern Himalayas. 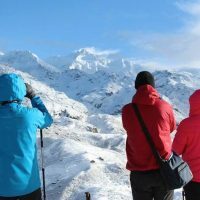 The combination of its rugged terrains and trail at some stretches that challenges and test your dexterity as a trekker and eventually exposure to surreal alpine landscapes ring in a sense of completeness as a trek. 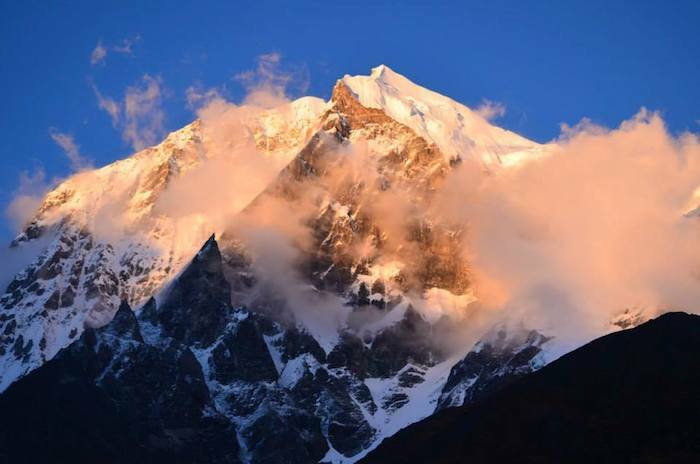 A tryst in particular as you will be greeted with spectacular view of the mighty Kanchenjunga (south-east face), amidst a majestic panorama of Mt. Pandim, Kabru, Simvo and great many other peaks of the Eastern Himalayas all along the way. 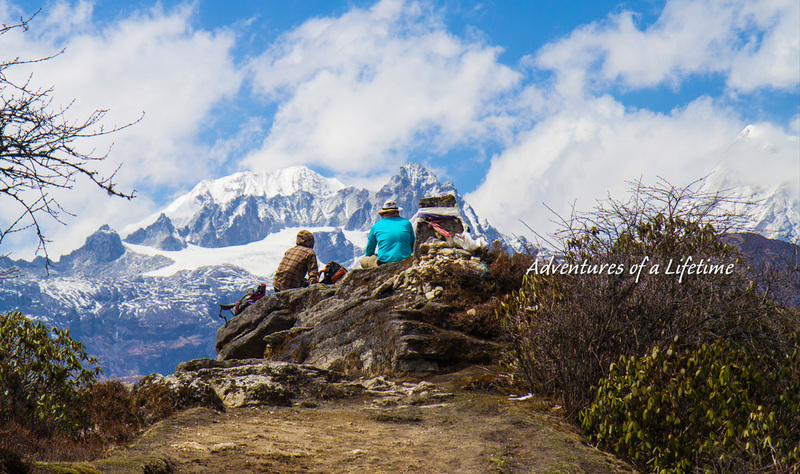 Complimented by enchanting walk through the Tshoka Rhododendron forests, then through vast alpine meadow past Dzongri and Thansing, climb to see the dazzling blue waters of Samiti Lake, ultimately, a spell binding view from Goechala pass (4940m). 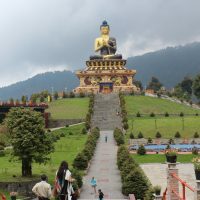 Also some of the cultural attractions that defines spiritual Sikkim, prior and post trek in Namchi, Yuksom and Pelling respectively. Approx. 95 Km/4-5hrs drive . Altitude 1675m in Namchi. 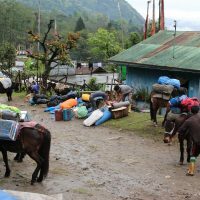 On arrival at the airport, meet our representative and drive to Namchi, a small town with the Kanchenjunga range at the backdrop. The road passes through the foothills, along the bank of the Teesta River and enter Sikkim at Melli. 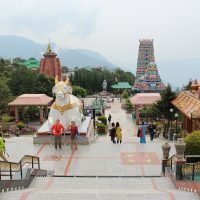 On arrival if time permit, pay a visit to the chardham complex. Overnight in Namchi. Around 85kms/4-5hrs drive. Alt. 1850m. Early morning visit Ngadak monastery. Subsequently after breakfast proceed towards Yuksom. On the way we take a break at Ravangla in order to visit the Buddha Park. After the visit continue our journey to Yuksom, the first capital of erstwhile kingdom of Sikkim and the main trail head towards Mt. 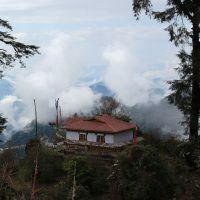 Khangchendzonga. 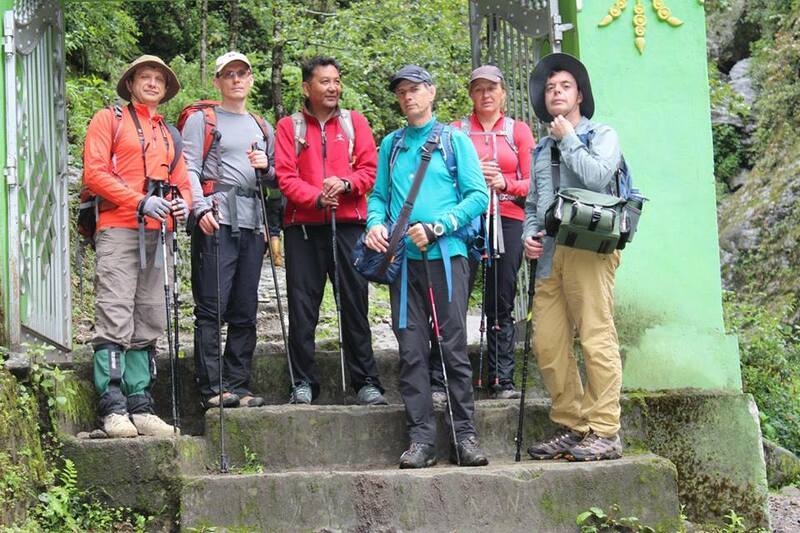 We rendezvous with our trekking staffs in Yuksom. Overnight in Yuksom. Approximately : 16kms/5-7 hrs trek. Ascent 1500m & descent 620m. 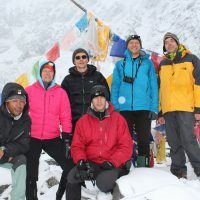 Tsokha 2950m. Day 4: Tshoka – Dzongri Approximate: 10kms/ 5-6 hours. Ascent 1100m/descent 200mts. 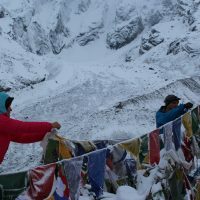 Dzongri 4000m. 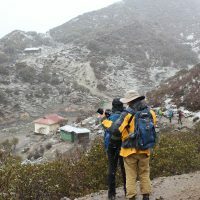 From here on the trek starts to get serious with rapid altitude gain and rough trail conditions. 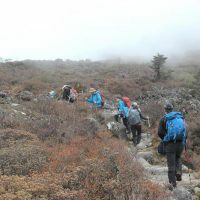 The trail goes through rich vegetated forest of rhododendrons, following rocky terrain until Phedang (3200 m). 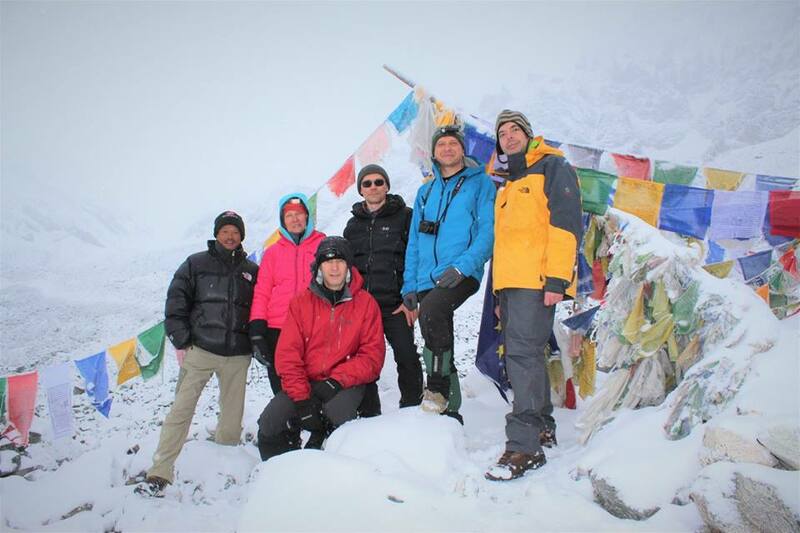 After a break at Phedang, we continue gaining more altitude with a change in vegetation from temperate to alpine. 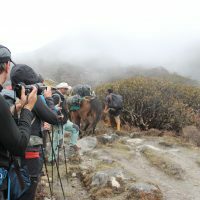 The trail climbs up along the ridge and descends down to the verdant meadows of Dzongri surrounded by mountains on all sides, offering surreal alpine landscapes and vista of Peaks such as Koktang 6,147m, Ratong, Kabru 7,338m, Kangchenjunga 8,586m, Simvo 6,815m and Pandim 6,691m. 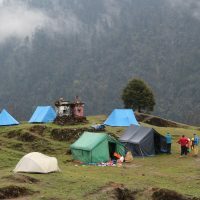 Overnight in Dzongri. Early morning hike up the ridge till Dzongri peak for Sun rise view of Khanchendzonga range and the Onglathang valley on the back drop (1hour). 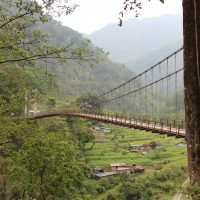 After breakfast, you can also hike to Gingay Dara with its panoramic views of the Rathong Valley and Rathong Glacier as well as the snowy peaks of Koktang, Kabru, Frey and mountains to the south of the Kanchenjunga. We will also be able to see in the distance the H.M.I. 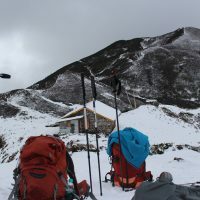 Base Camp, the area designated for high altitude mountain training. The hike to Gingay Dara is moderate, about four hours round trip. Overnight in Dzongri. Day 6: Dzongri – Lamuney Approx: 9 kms/6 to 7hrs. Ascent 480m & descent 260m. Today the hike is relatively moderate with a mixture of gentle descent and ascent in some stretches. 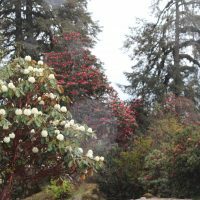 The hike traverses through lush green meadows and dense Rhododendron forest. After crossing the Prekchu river it is a gentle ascent to the meadows of Thangsing. From here the hike is on a gradual gradient through meadows with grazing yaks. The ascent becomes more steep and the terrain becomes more rocky as we near Lamune campsite. 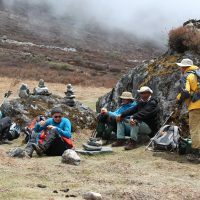 If time permits we can hike further to visit Samiti lake or we can visit the next day on our return journey to Thangsing. Overnight in Lamuney. 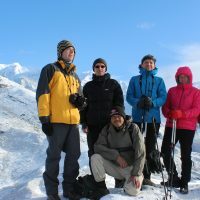 An early departure (before dawn – sometimes as early as 3AM) is strongly advised to reach the view point to see the first ray of the sun striking the Kanchenjunga range and moreover we will have more time to spend at Samiti lake on return. 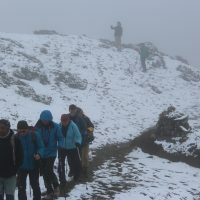 The trail goes thrugh the glacial moraine with views of Mt Pandim all the time and descend to Zemathang. A tough scramble over rocks and boulders will finally bring us to the view point with the view of Mt. Kanchenjunga and the smaller peaks of Rathong and Kabru. After enjoying the sunrise view, return downhill to Lamune for lunch. After lunch walk down to Samiti lake and spend some time around the lake, before continuing back to Thangsing for overnight. Today the trek is much easier as it is almost downhill walk until Sachen. From Sachen the trail goes up and down generally losing altitude. With a few ups and downs finally we reach the comfort of our hotel in Yuksom. After breakfast, drive to Turuk. 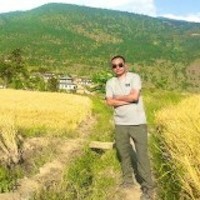 En route stop at the small town of Pelling, and also visit Pemayangtse monastery located nearby. Then drive to the ruins of Rabdentse, the 1st capital of the erstwhile kingdom of Sikkim. Later we continue our journey to Turuk Heritage Home, located in charming village with good views.You will stay in Turuk Kothi, a Heritage Home Stay. 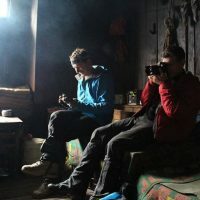 Note: Our small group journeys are organised with our own private camping equipment’s, tents, guide, cooks and other support staffs. MealsAll meals, including some high tea. 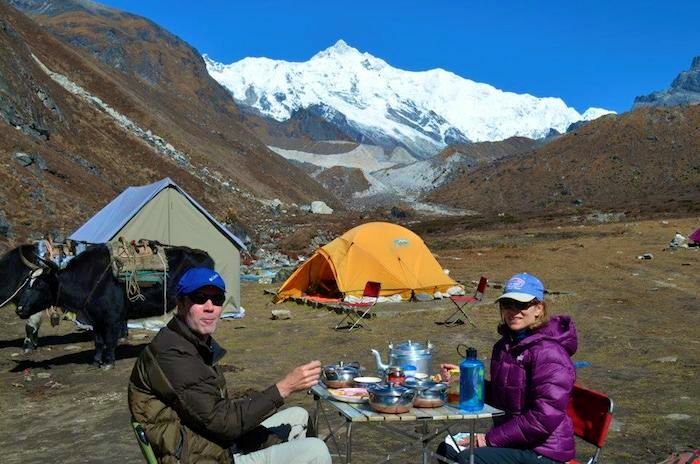 Trip AccommodationIn comfortable 3-4 star type hotels and lodges during the tour and in trekker's hut and tent camps during the trek. 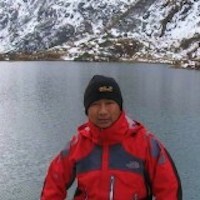 Trip SeasonsSpring and Fall are the best time to do this trek. Cost is tiered based on number of participants. At the time of signing, cost will be calculated based on two participants (minimum). Before the final payment due date, we will send you revised invoice based on sign-up. Should additional sign-up take place after the final payment, we will refund the difference accordingly. 12 Oct, 2019 22 Oct, 2019 Open Book now! Any additional cost of forced upon by changing itinerary due to your health/medical, political situation, or inclement weather. 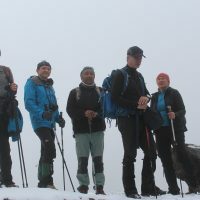 Five of us was on custom trip that included Goeha La trek in Sikkim and 5 days in Bhutan. From the moment guides met us in airport to the last day of our trip everything was perfectly organized with every little detail taken care of.Food on trek was exquisite! Our cook managed to cook 3-4 different dishes every evening. Good comfortable accommodations in Bhutan. We learned a lot about Buddhism, and Bhutanese culture and history. Had so much to see in just a few days it’s unbelievable. I would like to say big thank you to the whole Wind horse team from all of us for that amazing experience we had. 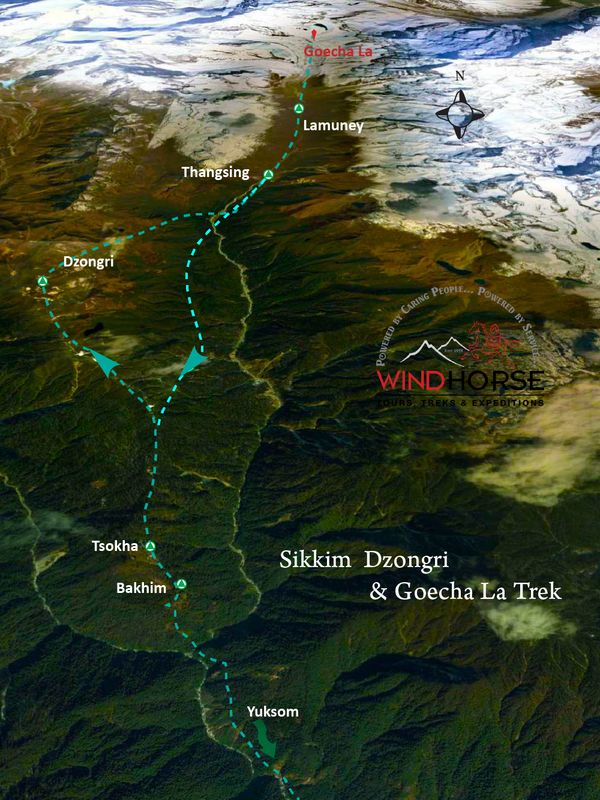 I absolutely recommend Wind horse to anyone visiting Sikkim or Bhutan. But, to be serious, there is absolutely nothing to complain about. Everything was well organized. The whole trip felt smooth and well though-through. We would like to say big Thank you to you, Ugen and everybody in Wind Horse for this experience. I posted few pictures on my Facebook page. If you'd like to share some of them on Wind Horse page you are welcome to do that. 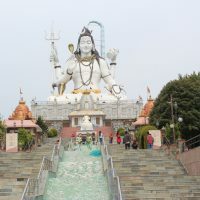 Giant Statue of lord Shiva in Namchi(Chardham). 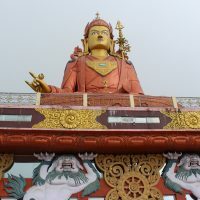 Giant Statue of Guru Rimpoche at Samdruptse hills. 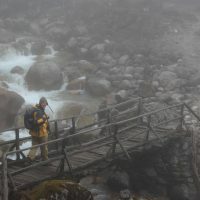 Crossing over the Prekchu river. 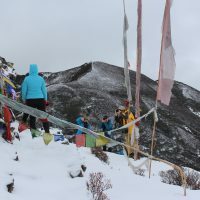 Tying prayer flag at the view point. Posing for a picture at the view point 1. Spectacular view of Kanchenjunga and other peaks. 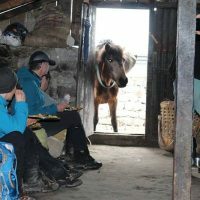 Post by Wind Horse Tours, Treks & Travel.